Since 2005, East Bay Electric, Inc. has been providing the local community with exceptional lighting services. 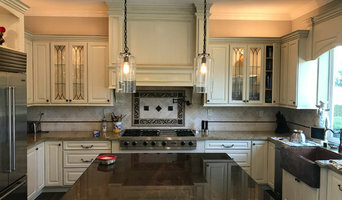 From installation to repair to maintenance, their team of skilled Alamo and Walnut Creek electricians have the experience to quickly and efficiently help you with your custom lighting project. As a family owned and operated electrical company, East Bay Electric, Inc. is dedicated to providing unparalleled customer service. They go above and beyond for their customers by offering quality workmanship, free proposals, flat-rate pricing, and a 100% satisfaction guarantee. They even offer emergency electrical repair in Alamo, Walnut Creek, and the surrounding areas so you can have greater peace of mind. Find the electrical help you need—contact East Bay Electric, Inc. to schedule your free estimate today! We are brothers who grew up working in the industry and gained valuable experience before establishing Mulholland Electric here in San Francisco. With over 20 years of experience in the bay area, we are experts in problem solving and are always up to date on San Francisco’s challenging and ever changing code system. We provide exceptional electrical service and we have built a reputation for quality, honesty and integrity that our customers have come to rely on. Our electricians and staff at Mulholland Electric strive to support our mission of 100% customer satisfaction. We provide electrical services to commercial, industrial, residential and restaurant clients. Let the experts handle all your electrical needs. 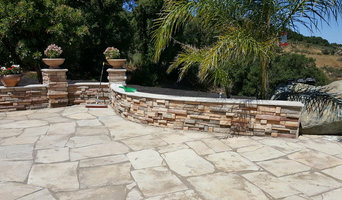 Located in Santa Rosa, CA Reda Electric is a bonded, insured electrical contractor that provides interior and exterior lighting, car chargers, generators, new panel upgrades, sound systems, smart lighting controls, any of your electrical installation Ernie, operator and owner of Reda Electric, has over 25 years of experience and prides himself on quality workmanship. He is a friendly, reliable, and highly skilled electrical contractor who looks to create an electrical system that is outstanding as far as not only meeting the current needs of the customer, but preparing for the future. Pacific Coast has been keeping homes safe and energy efficient for over 25 years. Do you want one good reason why you should choose us? We'll give you 7 ! •Were a 5 star rated company •. we're seasoned professionals who require our guys stay in training for the life of their career. •. we're premiere electricians for California pace energy lenders •. we're staffed with master electricians •.we're available 24/7 with live people not a recording •. we're offering 100% financing •...and we're nice people, just read out reviews! We're a proud fixture in the Bay Area communities, specializing in residential repair, energy upgrades, panel upgrades, safety evaluations, whole house fans , and landscape lightening design. Unlike many of our competitors, we've built a reputation based on being a "client Centered" company. PCE provides consistent quality and the excellence service that our clients have come to expect. We are, and continue to be a 5 star rated company! Headed by an experienced master electrician, our team is hand-chosen and carefully screened for skill, character, and a commitment to excellence, just a few of the reasons we feel confident in offering a 100 percent satisfaction guarantee on all our work in writing. You can trust that all your electrical needs are in good hands when you call us. Just read the reviews! You won't be sorry.! We are America's Favorite Electrician's. We specialize in 24/7 service for residential homes where we repair, install and upgrade your home's electrical safety and comfort. We are prepared in many situations to arrive and do work the first day, so have your light fixtures or fans ready when we get there. Giving you the best electrical service in the San Francisco bay area is our goal. That's why we make sure our back office operations, scheduling, and client communications are as professional as our electricians. Whether you are a homeowner installing new LED lighting or a general contractor rewiring an apartment complex, Momentum is 100% dedicated to making you happy. Call us to learn more about how professionalism makes us the best electricians in the bay area. E N E Electric, Inc.
We build and maintain power and data infrastructure systems for residential, commercial and industrial properties. We are a local, community-based business that was established in 2014. Since then we've been providing premium quality electrical services for a broad range of clients. Our services include electrical, energy management systems, emergency power systems, power distribution systems and entertainment system installations. We are fully committed to achieving the highest standards through our work. Established in 2007, Electric Bear is a Veteran Owned residential electrical, Tesla Charging Point Installation, and Handyman service business. I believe in providing a quality and professional service to each of my customers. I approach the projects in your home as if it were my own, and take the time to ensure the job is accomplished right the first time. 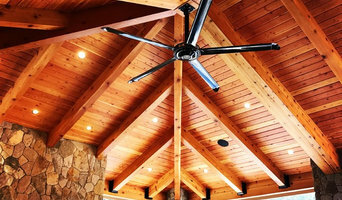 OUR CRAFTSMAN SERVICES MIGHT BE VARIED, BUT THEY ALL COME WITH THE SAME PROMISE OF QUALITY, DEDICATION, AND DURABILITY. LICENSED AND INSURED, SWIFTVOLTAGE, INC. IS AN EXPERIENCED CONTRACTOR WITH TRAINED PROFESSIONALS IN RESIDENTIAL AND COMMERCIAL STANDARDS. WE OFFER A 1-YEAR GUARANTEE FOR ALL SERVICES RENDERED FROM THE DAY OF DELIVERY, ALONG WITH FREE ESTIMATES. 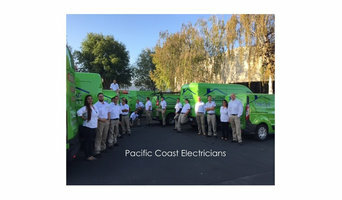 Professional electrician services in San Francisco and Bay Area for repairs, custom lighting solutions, surge protectors, panel upgrades, vehicle charging station and much more! 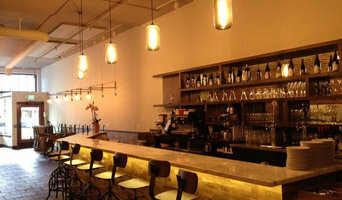 Licensed Electrical Contractor in California. Experience in residential and commercial electrical industries. Roberts Electric Co. (RECO) is a family-owned business founded in 1932. Our highly skilled team of professional electricians provides comprehensive electrical services for residential, commercial, and industrial projects. ARC Lighting & Electric is an electrical contractor / electrician serving the Milpitas, CA area. Services include Electrician, Emergency Service, Electric Repair, Lighting Installation, Lighting Design, Electrical Design, Security Lighting, Landscape Lighting, Ceiling Fan Installation, Generator Installation, Outlets, Panel Upgrades, Wiring, Commercial Electric, Network Wiring, Alarm & Security Repair, ChargePoint Installer, Electrical Code Corrections, Home Theater & Audio Installation, Signage and Surveillance Camera Installation. Christman Electrical Contracting is a family owned and operated business. We service Napa, Sonoma, Marin, San Francisco and East bay areas. Our Electricians take pride in their excellent craftsmanship and always deliver 100% customer satisfaction. We have over 25 years in the electrical industry and offer services to the residential, commercial, winery and restaurant clients. We install full house automation systems, lighting design and installation and design/ install home Audio Video systems using the highest quality equipment available on the market. Call our Electrical company at 707-332-2814 for more information.